Navistar International Corporation announced the death of John D. Correnti, a member of the Navistar Board of Directors, who passed away August 18. He was 68. 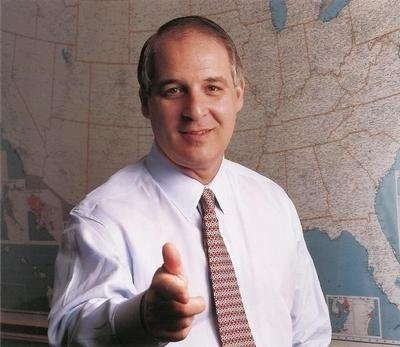 Correnti had a long and highly successful career in the steel industry, serving most recently as chairman and chief executive officer of Big River Steel, LLC. "We are deeply saddened by the sudden death of John Correnti, who was a member of Navistar's Board of Directors for the past 21 years," said Troy Clarke, Navistar president and chief executive officer. "Through his leadership experience, broad business expertise and insights, John contributed greatly to Navistar. Our thoughts and prayers are with his family and friends." Memorials may be made to the Blytheville Prayer Garden, P.O. Box 251, Blytheville, Arkansas 72315. Their website is www.blythevilleprayergarden.com; or the John D. Correnti Scholarship Fund, going to a deserving graduate of Armorel High School who is seeking an Engineering Degree. John D. Correnti Scholarship Fund memorials may be sent to Big River Steel, 1425 Ohlendorf Road, Osceola, Arkansas 72370, ATTN: John D. Correnti Scholarship Fund. Condolences may be expressed to the family online at www.cobbfuneralhome.com or directly to the family at nj@nicholasair.com.